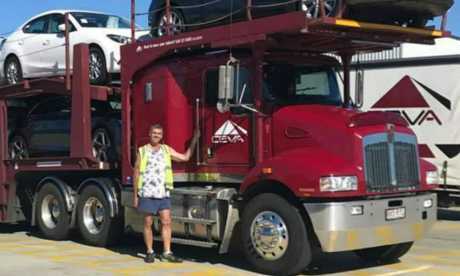 THIS truck driver from Queensland was worried his four sons would be left without a father if he didn't change his ways. Paul Nugent tipped the scales at 168kg in 2015. Dylan, 13 - he knew he needed to change his life if he wanted to see his youngest two grow up. 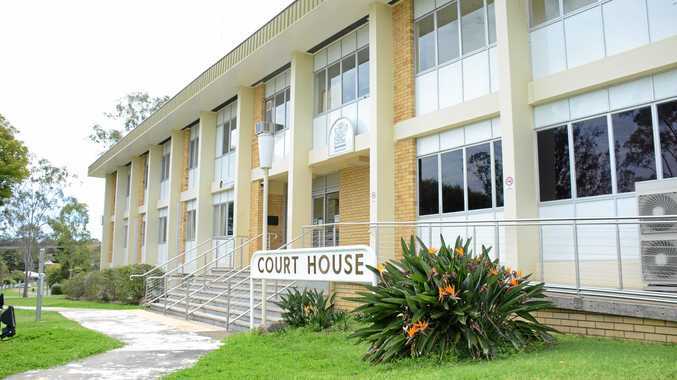 "We'd go to the shopping centre and they [Hayden and Dylan] would walk away from me. They didn't want to be near me, they were embarrassed," Paul tells Kidspot. "Now, we go and they'll stand beside me, they talk to me, they go up to their friends and introduce me to all their mates as their father." 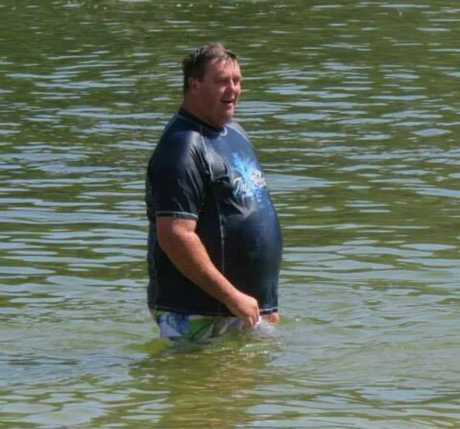 What's changed for the father-of-four in that year has been shedding almost half his body weight and gaining a new lease on life. 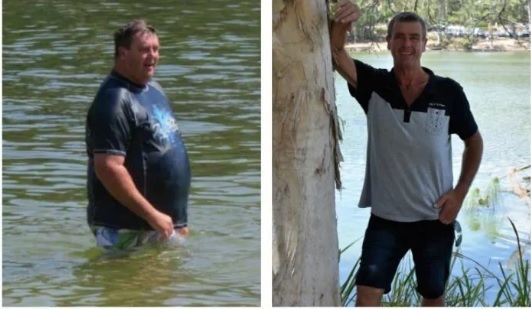 "It's like I'm back in a 21-year-old body," he says of his spectacular 73kg weight-loss in just under 12 months. "I have so much energy and the boys see that and bounce off of that as well." Paul, who suffered from diabetes, sleep apnea and high blood pressure, admits he had tried a number of diets in the past. "They were not suited to truck drivers," he says of the eating plans. But when a colleague appeared to be "disappearing before my eyes", the then 50-year-old dad found out his mate wasn't sick, just on the Cambridge diet. Due to his pre-existing health conditions, Paul started the plan at Stage 5, which involved overhauling his diet from fried foods to clean meals and also drinking a particular shake each day for two weeks. Two weeks later, it was upped to two shakes a day and two weeks after that, it was three shakes a day, along with a meal plan. "I was down to 800 calories a day when I got right down into it at six weeks," he says. Paul never gave up the coffee and says he drinks seven cups a day but has upped his water consumption to three litres, while cutting out the soft drink. Now back to a regular diet, Paul jokes, "I eat like a truck driver again ... but not badly. "I bring food away with me from home and I have a hot box and a fridge in the truck now. "When I go to truck stops now I go for the healthy options, like a salad sandwich or steak and veggies for tea instead of fast food," he says. Paul's new look diet is world's away from what it was just 18 months ago. Back then the trucker's daily diet was filled with "excessive" amounts of food, plus 3L of coke, 1.5L of iced coffee, a bottle of rum or a carton of beer. "I used to have a 750ml iced coffee and pie for breakfast," he admits. "Lunch would be two/three sandwiches I took from home. Afternoon tea would be a carton of chips and gravy and another bottle of coke and I'd grab a beer on the way home." Then once home, Paul would tuck into potato crisps with another couple of beers before sitting down to dinner - eating more than his two teenage sons could combined. "I would have a huge tea ... half a kilo of steak, half a kilo of veggies with it and gravy and everything to go with it." Some nights it was six beers, some nights it was a bottle of rum, it just depends on the day you had," he adds. Now the thought of fatty fried foods does nothing to him. Sitting with his boys in McDonald's or KFC was a hurdle but one he's glad he faced head-on. "We did KFC once a week, McDonald's once a week, Hungry Jacks once a week ... so when my sons wanted McDonald's, that was hard the first couple of times but it's the best thing I've done - have a cup of coffee and sit there with them," he says. The smells no longer tempt the now 51-year-old and on the odd occasion Paul will snag a chip from the boys but says, "it's revolting to me", after cutting out "grease and oils" from his diet. However, there was one moment during his weight loss, just weeks away from his 100kg goal where things turned pear shape. As his weight loss plateaued out, Paul became frustrated and went on a blow-out filled with pizzas and foods he had been avoiding. Instead of any shedding any weight that week, he put on 1.5kg. The psychology of dieting: What happens to humans psychologically as we diet? "It's a reality check at the end of the day and that makes you focus again and think of all the hard work you've done. "They kicked my rear end from one side of the house to the other," he added of his sons' reaction. His boys have been his cheer squad the whole way along. They'd rip away food or drink from their dad that he shouldn't be eating, to keep him on the straight-and-narrow. They would also come into his house to check on him. "I was with them [Hayden and Dylan] by myself for the first six months I was doing the diet and they'd sleep in the same bed as me and they said, 'Dad you snore too much'. Now they say I don't snore. "They even stay up at night and listen to me breathing and say I don't stop breathing anymore. I used to stop breathing two to three times an hour with my sleep apnea." 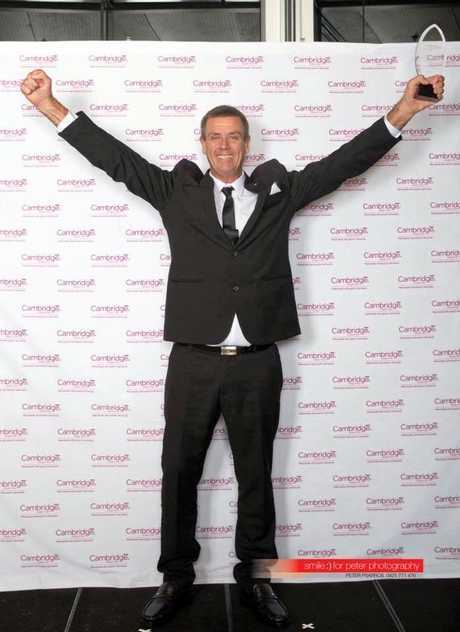 Paul's impressive weight loss won him the Cambridge Diet's Australian Slimmer of the Year, giving him his first ever trip overseas. It also meant coming off his blood pressure medications, insulin and sleep apnea machine. 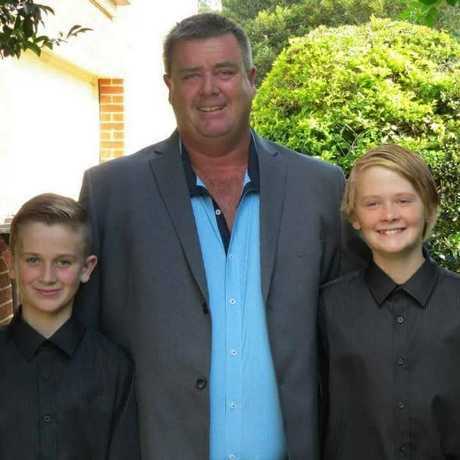 But the biggest win for the father-of-four is how much closer it's brought him to his boys. "Very, very, very much closer," he says. "We're best of, best of, best of, best of mates. We were close before but even closer now." Fad free weight loss: A guide to losing weight without joining the latest fad.